The Byrds are called a source of inspiration for several bands a number of times here, and I’ve declared that it’s time for one of their own albums now: Mr. Tambourine Man. Just like with The Doors, the sublime debut album is the perfect starting point in this case. It’s an absolute must-have for all Beatles-fans out there, as this album is the missing link between Bob Dylan (which is covered four times) and The Beatles, being the American forerunner of Rubber Soul. The Byrds formed in Los Angeles about a year before releasing their first album. It all started when core members Roger McGuinn and Gene Clark started to perform together in California, mainly covering early Beatles songs. 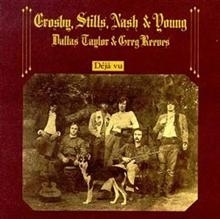 They originally played in different folk bands, just like David Crosby, who joined them a little later. They called themselves The Jet Set and tried to mix this traditional folk music with the sound of the then emerging British Invasion bands. This resulted eventually in the band’s distinct trademark: the wonderful vocal harmonies of McGuinn, Clark and Crosby combined with McGuinn’s jangly Rickenbacher guitar. Chris Hillman and Michael Clarke were recruited on bass an drums respectively, they changed their name to The Byrds and defined the new genre of ‘folk rock’ with the album Mr. Tambourine Man. 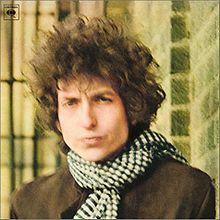 The album opens of course with the famous title track, one of the four Dylan covers. However, the song immediately introduces you to that specific Byrds-sound, with the typical guitar intro followed by the vocal harmonies of the chorus instead of a first verse. McGuinn is the only Byrd playing an instrument here, as the rest of the band was not yet adapted to each other at the moment of recording. You can ask yourself what Dylan exactly wanted to tell with the lyrics, but Mcguinn turned them into a kind of psychedelic prayer. The other Dylan song on side 1 is ‘Spanish Harlem Incident’. Dylan would have written it about a gypsy girl he once saw, but the remarkable thing about his song for me is that McGuinn sounds like the perfect mix of Dylan’s and John Lennon’s voices here. Other Dylan compositions on side 2 are ‘All I Really Want to Do’ (b-side of the single ‘Mr. Tambourine Man’) and ‘Chimes of Freedom’. The latter one is the longest track on the album, on which McGuinn shows another good effort to match his voice with the one of the original songwriter while singing about a lightning storm. This was the last song of the album to be recorded as Crosby initially refused to sing on it, wanting to leave the recording studio. After being physically forced to stay they recorded the song after all, luckily for us, as the harmonies are really awesome on this track. So what is this, some kind of release of a Dylan coverband? Certainly not, this thing has way more to offer you. Listen for example to ‘I’ll Feel a Whole Lot Better’, one of the songs from Gene Clark (who was the band’s primary songwriter) and for me personally the ultimate Byrds song. It’s an upbeat song, very Beatlesque and with the geniusly added word ‘probably’ into the line ‘I’ll Feel a Whole Lot Better’. Talking about Beatles, listen to ‘The Bells of Rhymney’ and ask yourself where George Harrison got that sweet guitar riff from ‘If I Needed Someone’. And there’s more. You can already hear on this album how The Byrds would evolve later on the sixties. 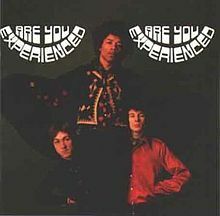 ‘Here Without You’ lyrically is a kind of love song, but reminds me of the group’s later psychedelic anthem ‘Eight Miles High’ with it’s typical intro. 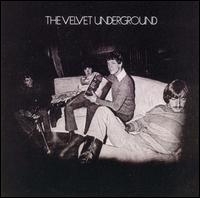 On side 2 there are two similar songs: ‘I Knew I’d Want You’, sounding like Jefferson Airplane would do a few years later, and ‘It’s No Use’, with that British Invasion ingredient. The last two songs are covers again, ‘Don’t Doubt Yourself, Babe’ even adds a little fifties rock ‘n roll to the album and ‘We’ll Meet Again’ is a reinterpretation of Vera Lynn’s classic war song. 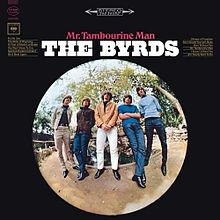 In the years following Mr. Tambourine Man The Byrds (with Roger McGuinn being the only consistent member) would release another number of excellent albums in the genres of psychedelic rock and country, but on this one they define the genre ‘folk rock’ for the first time in rock history. Besides, it’s a great example of how bands were propelling themselves to unique heights by continuously influencing each other. It’s well known that Brian Wilson made Pet Sounds in reaction to The Beatles’ Rubber Soul, but those guys were inspired themselves by an American band that once originated as… a Beatles coverband. 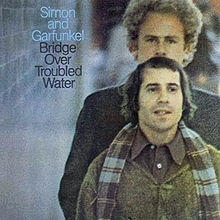 Another album from 1970, as it might have become clear that the period between 1967 and 1972 is my favorite era in pop history. Back then, singer-songwriters still made music you didn’t just smoothly fell asleep to. One of the greatest of his generation was Steven Demetre Georgiou, inspired by John Lennon and Paul Simon (who had just broke up with their respective groups) and with an exceptional talent for great melodies. Because he realized no American would buy music from some guy called Georgiou, he adopted the stage name Cat Stevens. Stevens was an English art student who liked playing piano and guitar. In the early seventies he would suddenly claim world fame after releasing three very successful albums: Mona Bone Jakon, Tea for the Tillerman (both 1970) and Teaser and the Firecat (1971). 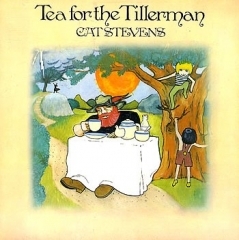 Of all three albums (on which Stevens created the artwork himself), Tea for the Tillerman would become most famous. Stevens already released some singles in 1966 (featuring John-Paul Jones on bass before he joined Led Zeppelin), with the first album following in 1967. But in 1969 he suddenly ended up in the hospital after contracting tuberculosis, fighting against death. During his recovery, his perspective on life and spirituality changed. He started to meditate, to read about other religions and became a vegetarian. And also: he wrote like forty songs which would appear on his following albums. First on Mona Bone Jakon, with the hit single ‘Lady D’Arbanville’. Next was Tea for the Tillerman, mixing lyrics of ordinary life situations and spiritual questions with great folk rock melodies. Songs that were heavily influenced by Stevens’ stay in the hospital are ‘But I Might Die Tonight’ (obviously), ‘On the Road to Find Out’ (find one’s self through personal experiences and religion, with really awesome vocals) and ‘Sad Lisa’ (about a girl nearing the point of depression). The opening song of the album, ‘Where Do the Children Play?’, has a broader perspective, contemplating the challenges mankind has to cope with during the beginning of the seventies: war, poverty, ecological trouble,… . While coping with these challenges we tend to forget primary needs. The only single of the album was ‘Wild World’, which was kind of a sequel to ‘Lady D’Arbanville’, as it describes Cat’s goodbye words to his departing lover, Patty D’Arbanville. The combination of Stevens’ voice and guitar beautifully awakes the sad feeling of leaving. A song a little more mysterious is ‘Into White’, which I still don’t really get. It’s about some organically built house with plants and animals inside, but it also says you have to be aware of violence, and in the end everything is ’emptied into white’. Find out for yourself where this is all about. However, my absolute favorite of this album is ‘Father and Son’. The song tells a dialogue between a father and his son (surprise), with the son explaining that he wants to leave to seek his own destiny. The father (echoed by Stevens with a lower voice) doesn’t understand this desire. The American band Flaming Lips released a song very similar (musically as well as lyrically) to it in 2002, ‘Fight Test’, and were therefore charged with a lawsuit. Flaming Lips singer Wayne Coyne expressed he had no intentions to steal the song, he just liked it very much, and he granted Stevens half of the royalties for the song. The album is closed actually by the title track, a very short song which was used for the closing credits by the creators of the hilarious British sitcom Extras. Stevens himself made some more albums in the seventies before converting to Islam in 1977, adopting his new name ‘Yusuf Islam’ from then on. He left the music scene two years later and only returned in 2006. However, he never reached the same heights again as on Tea for the Tillerman, telling us with it’s ethical lyrics and smooth melodies that you better enjoy life now, before it’s too late. You have to start somewhere, so somewhere must be Dylan. Bob Dylan is one of America’s most influential musicians of all time and influenced many many musicians all over the world. Especially this album marks a turning point in rock history. Back in 1965, Dylan was known as a very successful folk artist. But at that point he decided he didn’t want this to be for the rest of his life and exchanged his acoustic guitar for an electric one on the A side of the album Bringing It All Back Home. He completed this transition on his next album: Highway 61 Revisited. 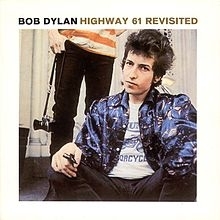 The name of the album was derived from one of North America’s great highways. This road had a special meaning for Dylan, as it connected his birthplace Minnesota with places in the south like Memphis and New Orleans. It were those places where some of Dylan’s heroes like Elvis Presley and Muddy Waters came from. 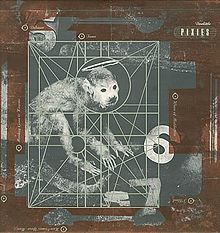 What makes this album a perfect starting point is it’s ‘revolutionary’ character which had a great influence on a lot of other music to be discussed here later on. 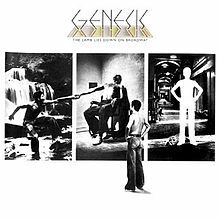 Not only the transition to electric rock, but also for example the introduction of songs lasting longer than three minutes. Every song lasts about 5-6 minutes and the epic final track ‘Desolation Row’ even lasts 11 minutes. On top, the songs are not mainly about love anymore and they don’t have the traditional sing along choruses which were standard those days. Last but not least, the emphasis on this album lies on the lyrics, not the voice which sings them. That’s by the way the main reason that Jimi Hendrix started to sing after all: if Dylan could sing, Hendrix could at least give it a try. Hendrix even covered the famous opening track of the album: ‘Like a Rolling Stone’. This track in particular avoids all traditional themes of a pop song, expressing resentment and revenge instead. This song was even listed number ONE on Rolling Stone’s 500 Greatest Songs of All Time, could you imagine a better start for your discovery? Enjoy the album!